For shopping fun, head to Dolphin Mall or Miracle Mile. Popular historic sites such as Barnacle State Historic Site and Coral Castle are in your itinerary. Step out of Miami with an excursion to Shark Valley in Everglades National Park--about 1h 05 min away. There's lots more to do: see the interesting displays at Vizcaya Museum and Gardens, take a stroll through Little Havana, buy something for everyone on your list at Bayside Marketplace, and make a trip to Calle Ocho. To see maps, where to stay, ratings, and tourist information, you can read our Miami route maker tool . If you are flying in from United Kingdom, the closest major airports are Miami International Airport, Fort Lauderdale Hollywood International Airport and Palm Beach International Airport. In February, daytime highs in Miami are 30°C, while nighttime lows are 21°C. Finish up your sightseeing early on the 26th (Wed) so you can go by car to Miami Beach. 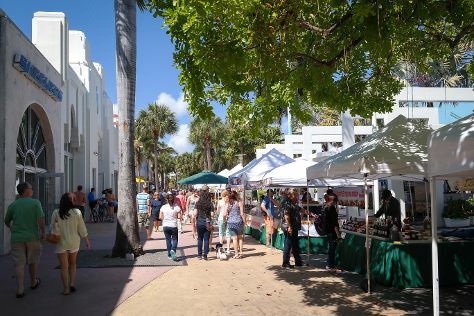 Kick off your visit on the 26th (Wed): take a leisurely stroll along Miami Beach Boardwalk, take a tour by water with Boat Tours & Water Sports, then take a stroll through Lincoln Road, and finally take a stroll through Collins Avenue. On your second day here, stroll through South Beach, appreciate the extensive heritage of Art Deco Historic District, make a trip to Ocean Drive, then explore the galleries of The Wolfsonian - Florida International University, and finally view the masterpieces at Britto Central. To find where to stay, other places to visit, more things to do, and tourist information, use the Miami Beach itinerary planner. Miami Beach is just a short distance from Miami. Expect a daytime high around 30°C in February, and nighttime lows around 21°C. Wrap up your sightseeing on the 27th (Thu) early enough to drive to Fort Lauderdale. Kick off your visit on the 28th (Fri): buy something for everyone on your list at Sawgrass Mills, then take an in-depth tour of Wiener Museum of Decorative Arts (WMODA), then enjoy the sand and surf at Fort Lauderdale Beach, and finally pause for some serene contemplation at Saint Demetrios Greek Orthodox Church. Get ready for a full day of sightseeing on the next day: identify plant and animal life at Panther Ridge Conservation Center, look for all kinds of wild species at Wakodahatchee Wetlands, then see the interesting displays at Morikami Museum & Japanese Gardens, and finally get a taste of the local shopping with Aventura Mall. To find other places to visit, photos, where to stay, and other tourist information, go to the Fort Lauderdale tour itinerary planning tool . Traveling by car from Miami Beach to Fort Lauderdale takes an hour. Alternatively, you can take a bus; or do a combination of bus and train. Expect a daytime high around 30°C in February, and nighttime lows around 21°C. Cap off your sightseeing on the 1st (Sun) early enough to travel to New Orleans. Popular historic sites such as Garden District and Royal Street are in your itinerary. Satisfy your inner culture vulture at The National WWII Museum and St. Louis Cathedral. Step out of New Orleans to go to Slidell and see Nature & Wildlife Tours, which is approximately 48 minutes away. Spend the 4th (Wed) exploring nature at Jean Lafitte National Historical Park and Preserve. Next up on the itinerary: get to know the fascinating history of French Quarter, stroll through Audubon Zoo, take a stroll through Frenchmen Street, and get some jogging in at Woldenberg Park. Plan my day in New Orleans using traveler tips and tourist information provided by Inspirock. Traveling by flight from Fort Lauderdale to New Orleans takes 4.5 hours. Alternatively, you can do a combination of train and flight; or drive. The time zone changes from Eastern Standard Time (EST) to Central Standard Time (CST), which is usually a -1 hour difference. Traveling from Fort Lauderdale in March, expect nights in New Orleans to be about the same, around 19°C, while days are little chillier, around 19°C. Finish your sightseeing early on the 4th (Wed) so you can travel to Roswell. To find traveler tips, where to stay, and other tourist information, use the Roswell tour planning site . You can fly from New Orleans to Roswell in 6.5 hours. Other options are to drive; or take a bus. The time zone changes from Central Standard Time to Mountain Standard Time, which is usually a -1 hour difference. Expect a bit warmer weather when traveling from New Orleans in March: highs in Roswell hover around 26°C, while lows dip to 3°C. 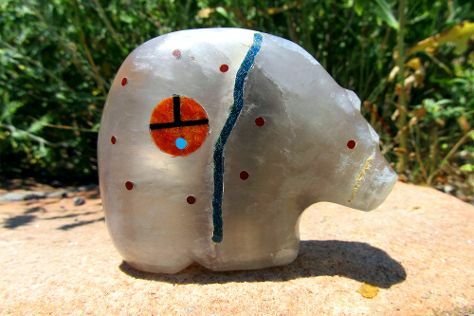 On the 5th (Thu), wrap the sightseeing up by early afternoon so you can drive to Santa Fe. On your second day here, shop like a local with Rainbow Man, contemplate in the serene atmosphere at Loretto Chapel, take in the exciting artwork at Keshi, then take in the exciting artwork at Nedra Matteucci Galleries, then appreciate the extensive heritage of Canyon Road, and finally pause for some serene contemplation at The Cathedral Basilica of St. Francis of Assisi. To see more things to do, ratings, other places to visit, and more tourist information, you can read our Santa Fe trip planner . You can drive from Roswell to Santa Fe in 4.5 hours. Other options are to fly; or do a combination of car, flight, and shuttle. Plan for slightly colder temperatures traveling from Roswell in March, with highs in Santa Fe at 19°C and lows at -1°C. Wrap up your sightseeing on the 8th (Sun) to allow time to drive to Grand Canyon National Park. Start off your visit on the 8th (Sun): hike along Rim Trail, then look for gifts at Lookout Studio, and then explore the stunning scenery at Grand Canyon South Rim. For more things to do, other places to visit, traveler tips, and more tourist information, read our Grand Canyon National Park trip planner . Traveling by car from Santa Fe to Grand Canyon National Park takes 7.5 hours. Traveling from Santa Fe in March, plan for a bit cooler nights in Grand Canyon National Park, with lows around -5°C. Wrap up your sightseeing on the 9th (Mon) to allow time to drive to Seligman. Seligman is a census-designated place (CDP) on the northern border of Yavapai County, in northwestern Arizona, the United States.The population was 456 at the 2000 census.GeographySeligman is located at, at 5240ft in elevation, alongside the Big Chino Wash, in a northern section of Chino Valley. Your day-by-day itinerary now includes Route 66. Kick off your visit on the 10th (Tue): cruise along Route 66. Keep things going the next day: get engrossed in the history at Ash Fork Historical Society Museum, then stop by The Rusty Bolt, and then examine the collection at Return to the 50s. To find maps, where to stay, other places to visit, and tourist information, you can read our Seligman road trip planning site . You can drive from Grand Canyon National Park to Seligman in 2 hours. In March, daily temperatures in Seligman can reach 16°C, while at night they dip to -2°C. Wrap up your sightseeing by early afternoon on the 11th (Wed) to allow time for travel to Calipatria. Calipatria is a city in Imperial County, California. Kick off your visit on the 11th (Wed): identify plant and animal life at Salton Sea National Wildlife Refuge, get impressive views of Davis-Schrimpf Seep Field, then contemplate in the serene atmosphere at Salvation Mountain, and finally make a trip to East Jesus. To see more things to do, photos, other places to visit, and more tourist information, refer to the Calipatria online road trip planner . You can drive from Seligman to Calipatria in 5.5 hours. Another option is to fly. The time zone difference when traveling from Seligman to Calipatria is minus 1 hour. Plan for much warmer temperatures traveling from Seligman in March, with highs in Calipatria at 34°C and lows at 14°C. Wrap up your sightseeing on the 12th (Thu) to allow time to travel to San Diego. On the 13th (Fri), see the interesting displays at USS Midway Museum, get a taste of the local shopping with Spanish Village Art Center, then admire the landmark architecture of Marston House Museum, and finally get a taste of the local shopping with Gaslamp Quarter. 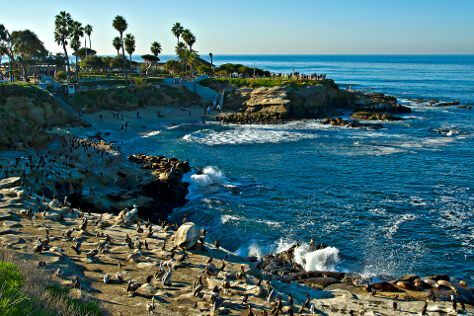 Get ready for a full day of sightseeing on the 14th (Sat): admire all the interesting features of Old Town San Diego State Historic Park and then kick back and relax at La Jolla Cove. To find ratings, where to stay, and tourist information, use the San Diego travel planner . Traveling by car from Calipatria to San Diego takes 2.5 hours. Traveling from Calipatria in March, expect nights in San Diego to be about the same, around 15°C, while days are a bit cooler, around 24°C. Finish your sightseeing early on the 14th (Sat) to allow enough time to drive to Los Angeles. Get in touch with nature at Venice Beach and Boardwalk and Oak Canyon Nature Center. Visit Santa Monica Pier and Venice Canals Walkway for their historical value. Explore Los Angeles' surroundings by going to Santa Monica (Montana Avenue & Third Street Promenade). There's still lots to do: see the interesting displays at The Getty Center, take a stroll through Angelino Heights Historic Area, browse the eclectic array of goods at Melrose Trading Post, and browse the different shops at The Grove. For maps, more things to do, where to stay, and more tourist information, go to the Los Angeles holiday planning website . Getting from San Diego to Los Angeles by car takes about 2.5 hours. Other options: take a bus; or fly. March in Los Angeles sees daily highs of 27°C and lows of 14°C at night. Wrap up your sightseeing on the 16th (Mon) early enough to drive to Death Valley National Park. To see where to stay, photos, traveler tips, and tourist information, refer to the Death Valley National Park trip itinerary maker app . Traveling by car from Los Angeles to Death Valley National Park takes 4.5 hours. Alternatively, you can do a combination of train, bus, and car; or do a combination of flight and bus. Traveling from Los Angeles in March, Death Valley National Park is slightly colder at night with lows of 7°C. You will leave for Las Vegas on the 17th (Tue). You've now added Counts Kustoms to your itinerary. Start off your visit on the 19th (Thu): examine the collection at Counts Kustoms, take in the dramatic natural features at Red Rock Canyon National Conservation Area, and then shop like a local with The Strip. On your second day here, see the interesting displays at The Mob Museum, see the interesting displays at The Neon Museum, then see the interesting displays at Pinball Hall of Fame, then look for all kinds of wild species at Veteran's Memorial Park, and finally identify plant and animal life at Lake Mead National Recreation Area. For where to stay, maps, reviews, and other tourist information, use the Las Vegas itinerary planner. Traveling by car from Death Valley National Park to Las Vegas takes 2.5 hours. Alternatively, you can take a bus. Traveling from Death Valley National Park in March, plan for somewhat warmer nights in Las Vegas, with lows around 13°C. Cap off your sightseeing on the 21st (Sat) early enough to travel to San Francisco. On the 19th (Thu), get curious at Exploratorium, take in the waterfront at Fisherman's Wharf, and then step off the mainland to explore Alcatraz Island. Keep things going the next day: take in the awesome beauty at Twin Peaks, then look for all kinds of wild species at Fort Funston National Park, then don't miss a visit to Ferry Building Marketplace, and finally take a stroll through Union Square. To find more things to do, where to stay, ratings, and other tourist information, go to the San Francisco attractions planner . Getting from Las Vegas to San Francisco by flight takes about 4 hours. Other options: drive. When traveling from Las Vegas in March, plan for a bit cooler days and about the same nights in San Francisco: temperatures range from 21°C by day to 11°C at night. Finish up your sightseeing early on the 21st (Sat) so you can go by car to Yosemite National Park. On the 21st (Sat), explore the striking landscape of Bridalveil Fall. Here are some ideas for day two: admire the masterpieces at Yosemite Museum Gallery, take in the awesome beauty at Cathedral Beach Picnic Area, and then get to know the fascinating history of Big Trees Lodge, National Historic Landmark. 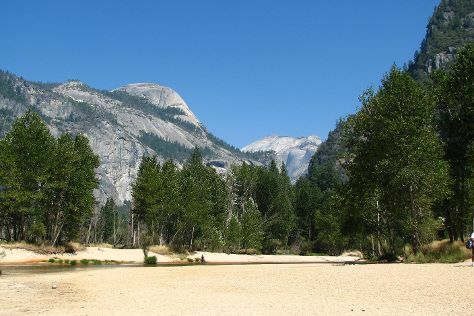 For maps, reviews, more things to do, and more tourist information, you can read our Yosemite National Park itinerary site . You can drive from San Francisco to Yosemite National Park in 4 hours. Alternatively, you can do a combination of flight and car; or do a combination of flight and bus. Traveling from San Francisco in March, expect nights in Yosemite National Park to be colder, around -5°C, while days are slightly colder, around 13°C. Finish your sightseeing early on the 22nd (Sun) so you can travel to Portland. On the 23rd (Mon), contemplate the long history of Columbia River Highway, take a peaceful walk through The Grotto - National Sanctuary of Our Sorrowful Mother, then admire the natural beauty at Portland Japanese Garden, then steep yourself in history at Pittock Mansion, and finally stop by Powell's City of Books. Here are some ideas for day two: see the interesting displays at Portland Art Museum, see the interesting displays at Oregon Museum of Science and Industry, then see the interesting displays at Evergreen Aviation & Space Museum, and finally do a tasting at Natalies Estate Winery. To see reviews, where to stay, more things to do, and tourist information, use the Portland trip planning website . Traveling by combination of bus and flight from Yosemite National Park to Portland takes 8 hours. Alternatively, you can take a bus; or do a combination of bus and train. Expect a bit warmer evenings in Portland when traveling from Yosemite National Park in March, with lows around 5°C. 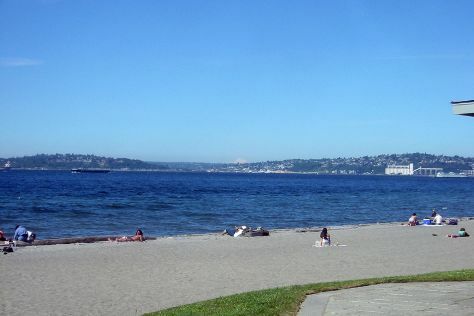 Finish up your sightseeing early on the 25th (Wed) so you can travel to Seattle. You've now added Space Needle to your itinerary. Kick off your visit on the 28th (Sat): get a taste of the local shopping with Pike Place Market, admire the masterpieces at Chihuly Garden and Glass, then enjoy the sand and surf at Alki Beach, and finally take a stroll through Pioneer Square. On your second day here, take your sightseeing to a higher altitude at Mount Walker and then hike along Murhut Falls. For ratings, other places to visit, reviews, and other tourist information, use the Seattle tour planning app . Traveling by flight from Portland to Seattle takes 3 hours. Alternatively, you can drive; or take a bus. Expect a daytime high around 15°C in March, and nighttime lows around 6°C. Wrap up your sightseeing by early afternoon on the 30th (Mon) to allow time for travel to Salt Lake City. On the 31st (Tue), hit the slopes at Deer Valley Resort, then get a new perspective on nature at Natural History Museum of Utah, and then get a taste of the local shopping with Art at the Main Gallery. Get ready for a full day of sightseeing on the next day: contemplate in the serene atmosphere at Temple Square, wander the streets of Park City Main Street Historic District, and then cool off at Park City Mountain Resort. To see ratings, other places to visit, reviews, and tourist information, go to the Salt Lake City holiday builder app . Getting from Seattle to Salt Lake City by flight takes about 4.5 hours. Other options: drive; or take a bus. The time zone difference moving from Pacific Standard Time (PST) to Mountain Standard Time (MST) is 1 hour. In March in Salt Lake City, expect temperatures between 17°C during the day and 3°C at night. Wrap up your sightseeing on the 2nd (Thu) to allow time to travel to Nashville. Your day-by-day itinerary now includes Grand Ole Opry as well as Olive & Sinclair Chocolate Company. On the 2nd (Thu), stop by Olive & Sinclair Chocolate Company, look for all kinds of wild species at Bowie Nature Park, take an in-depth tour of Lotz House Museum, then examine the collection at Country Music Hall of Fame and Museum, and finally catch a live performance at Grand Ole Opry. Keep things going the next day: work some fitness into your day at Centennial Park, then explore the activities along Radnor Lake State Park, and then take a stroll through Downtown Nashville. To find maps, other places to visit, reviews, and tourist information, go to the Nashville road trip planner. Traveling by flight from Salt Lake City to Nashville takes 6 hours. Alternatively, you can drive; or take a bus. The time zone difference moving from Mountain Standard Time (MST) to Central Standard Time (CST) is 1 hour. Prepare for somewhat warmer weather when traveling from Salt Lake City in April: high temperatures in Nashville hover around 26°C and lows are around 11°C. 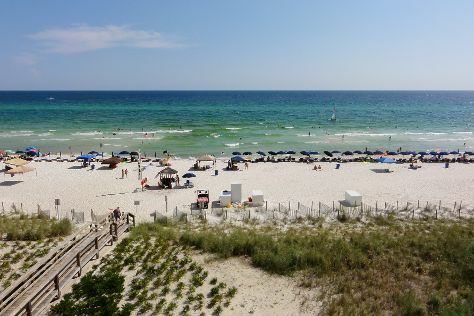 Cap off your sightseeing on the 4th (Sat) early enough to travel to Panama City Beach. Start off your visit on the 4th (Sat): admire the majestic nature at Eden Gardens State Park, browse the different shops at Pier Park, and then kick back and relax at Panama City Beach. On your second day here, see majestic marine mammals with a dolphin and whale watching tour and then kick back and relax at St. Andrews State Park. To find reviews, maps, and other tourist information, refer to the Panama City Beach day trip planning site . Getting from Nashville to Panama City Beach by flight takes about 3.5 hours. Other options: do a combination of flight and taxi; or drive. The time zone difference when traveling from Nashville to Panama City Beach is 1 hour. Traveling from Nashville in April, things will get somewhat warmer in Panama City Beach: highs are around 30°C and lows about 17°C. Finish your sightseeing early on the 5th (Sun) to allow enough time to travel to Daytona Beach. Myrtle Beach is a coastal city on the east coast of the United States in Horry County, South Carolina. Start off your visit on the 3rd (Fri): look for all kinds of wild species at Wildlife Areas, explore the world behind art at Brookgreen Gardens, and then take a stroll through Broadway at the Beach. On your second day here, look for all kinds of wild species at SC-CARES - SC Coastal Animal Rescue & Educational Sanctuary, enjoy the sand and surf at Myrtle Beach, and then pause for some serene contemplation at Risen Christ Lutheran Church and School. To see more things to do, reviews, where to stay, and more tourist information, read Myrtle Beach trip planner . You can fly from Panama City Beach to Myrtle Beach in 4 hours. Other options are to do a combination of taxi and flight; or drive. While traveling from Panama City Beach, expect slightly colder days and about the same nights in Myrtle Beach, ranging from highs of 26°C to lows of 15°C. Cap off your sightseeing on the 5th (Sun) early enough to travel to Daytona Beach. Kick off your visit on the 5th (Sun): visit a coastal fixture at Ponce de Leon Inlet Lighthouse & Museum, then identify plant and animal life at Smooth Waters Wildlife Park, then take in the exciting artwork at Gallery of Local Art, and finally kick back and relax at Beach at Daytona Beach. 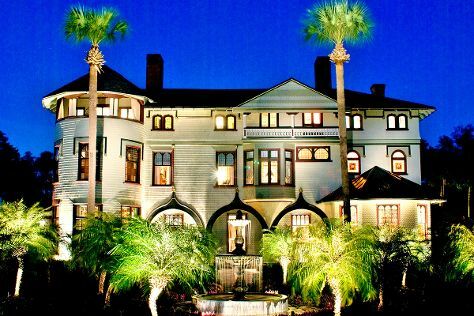 Keep things going the next day: identify plant and animal life at Canaveral National Seashore, identify plant and animal life at Merritt Island National Wildlife Refuge, and then steep yourself in history at Stetson Mansion. To find where to stay, more things to do, photos, and tourist information, use the Daytona Beach trip itinerary maker website . You can do a combination of flight and shuttle from Myrtle Beach to Daytona Beach in 4 hours. Other options are to fly; or drive. Prepare for somewhat warmer weather when traveling from Myrtle Beach in April: high temperatures in Daytona Beach hover around 32°C and lows are around 19°C. Cap off your sightseeing on the 7th (Tue) early enough to go by car to Orlando. Give yourself a bit of retail therapy at The Mall at Millenia and Timothy's Gallery. Greenwood Cemetery and City Hall will appeal to history buffs. Pack the 8th (Wed) with family-friendly diversions at Discovery Cove. Have a day of magic on the 10th (Fri) at Walt Disney World Resort. 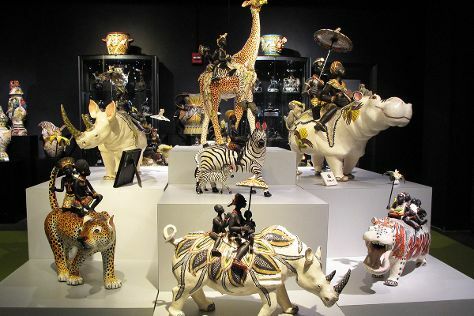 And it doesn't end there: explore the world behind art at Charles Hosmer Morse Museum of American Art, buy something for everyone on your list at Disney Springs, and laugh and play at Disney's Animal Kingdom. To find traveler tips, more things to do, maps, and tourist information, you can read our Orlando trip builder website . Traveling by car from Daytona Beach to Orlando takes 1.5 hours. Alternatively, you can take a bus. In April in Orlando, expect temperatures between 34°C during the day and 21°C at night. Wrap up your sightseeing by early afternoon on the 11th (Sat) to allow time for the car ride to Tampa. Start off your visit on the 11th (Sat): see the interesting displays at The Dali Museum and then wander the streets of Ybor City. Keep things going the next day: enjoy the sand and surf at Clearwater Beach, then contemplate the long history of Philippe Park, and then look for all kinds of wild species at Tampa Electric's Manatee Viewing Center. To find reviews, maps, ratings, and more tourist information, go to the Tampa route builder site . Drive from Orlando to Tampa in 1.5 hours. Alternatively, you can take a bus; or take a train. In April, daily temperatures in Tampa can reach 34°C, while at night they dip to 22°C. Wrap up your sightseeing by early afternoon on the 13th (Mon) to allow time for travel to Everglades City. Everglades City is a city in Collier County, Florida, United States, of which it is the former county seat. Kick off your visit on the 13th (Mon): get a dose of the wild on a nature and wildlife tour. Get ready for a full day of sightseeing on the 14th (Tue): explore the striking landscape of Ten Thousand Islands National Wildlife Refuge and then identify plant and animal life at Big Cypress National Preserve. To see traveler tips, maps, and more tourist information, go to the Everglades City trip planning site . Traveling by bus from Tampa to Everglades City takes 3.5 hours. Alternatively, you can drive. 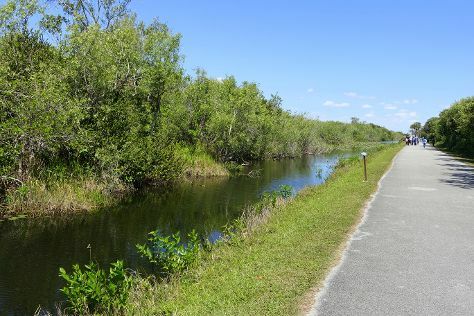 April in Everglades City sees daily highs of 34°C and lows of 22°C at night. You'll set off for home on the 16th (Thu).